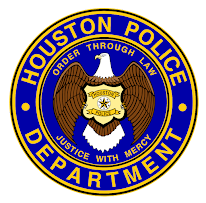 Houston Police Department: South Gessner Station Opens! Houston Mayor Annise Parker, Police Chief Charles A. McClelland, Jr. and several city council members celebrated last Wednesday the grand opening of the new home of the South Gessner Patrol Division. Mayor Parker and Chief McClelland stressed a strong partnership between HPD and the community will be the key to success. "I'm very proud of this new facility," said Chief McClelland. "It helps us with our core mission of protecting the public through better police/community relations. 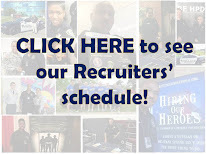 Thanks to its high visibility and community meeting room, residents will have an opportunity to get to know the officers working in their neighborhoods and partner with HPD to help make the area safer for everyone," Chief McClelland added. "It is my hope that this new building will help provide a setting for more convenient interaction between our men and women in blue and the southwest Houston community," said Mayor Parker. "Maintaining a close relationship between law enforcement and neighborhoods is the key to keeping our communities safe." The new station is especially dear to Houston Council Member Anne Clutterbuck, in whose district it resides. “I am so glad to see the hard-working South Gessner Patrol Division officers at home in a space that allows them to better serve the community. While the new building is certainly beautiful, I am most impressed by the officers’ dedication to their work and the community’s efforts to support them,” Council Member Clutterbuck said. The facility incorporates the LEED™ Green Building standards and is LEED™ certified. The LEED™ certification system verifies the building was designed and constructed with attention to energy savings, water efficiency, and CO2 emissions. Construction was overseen by the Houston General Services Department. The police station will house 176 officers and civilians assigned to South Gessner Patrol, as well as officers from the Investigative First Responder (I.F.R.) Division. All officers will have access to a gym facility. In order to reduce the amount of time officers are out of service on minor arrests, the station will also feature a jail lock-up for class C prisoners. A community meeting room will be available to help facilitate open lines of communication between officers and residents. The facility is equipped with a large emergency generator, an ice machine, and hurricane supplies, which will allow HPD to continue serving the community in the event of a natural or man-made disaster. Awesome. Looks better than the old "strip center" station. lol. This is great news especially since I live very close to this area. Cheers to continuing to provide excellent service to the Houston community! The class c lockup at this facility is awesome for the officers and citizens.....I hope the mayor can instill this elsewhere as well as current stations. This can be a two way incentive!First, for people roaming the streets; they might think twice about committing a no no. Secondly for the officers, knowing they won't have to waste so much time transporting and processing that could otherwise be used to catch more criminals.